Christina Kobb performing at Carnegie Hall, February 24, 2017. Employing a modified “reconstructed” 19th-century keyboard technique allows her a faithful expression of early Romantic music on a powerful concert grand. Elements of the reconstructed technique afford her the accuracy and effortless flow demanded by the Romantic composers. But is there a cost to restricting the emotion that can be expressed through movement and gestures? To this question, Ms. Kobb replied, “I know I changed myself into a much more stable appearance. And maybe that makes it harder for some to grasp what is going on if I cannot sufficiently compensate via other means the feeling of the music. That is the paradox of this period, early Romanticism. It became very clear when I read the letters between Robert and Clara Schumann how much emotion there is looming underneath. These are very intense emotions. But still the appearance on stage [was expected to] be quite restricted. This was way before Elvis, to put it in perspective.” But “we need to be moved by the music, and for a concert to be successful, the listener has to be able to recognize and relate to some of the feelings.” By this standard and more, hers was a successful concert. 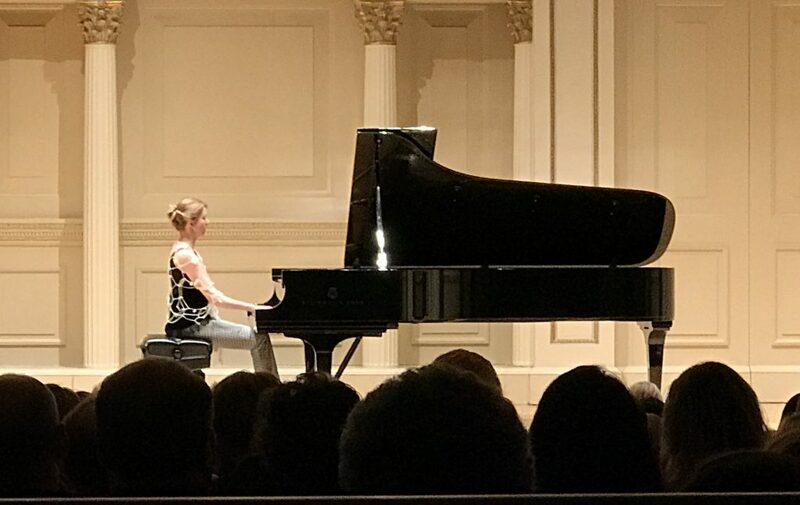 At her well-attended Carnegie Hall debut last Friday night in Carnegie’s Weill Recital Hall, Ms. Kobb performed works from the Romantic period on a Steinway concert grand, and the reconstructed technique was on full display, with adaptations for the modern instrument. To start the process of allowing the audience to relate to the composers’ feelings, Ms. Kobb had crafted her own highly illustrative and entertaining notes to the program, billed as the “Keys to Romance” between Robert and Clara Schumann. As if to remind the audience of the self-imposed restrictions that the discipline of the reconstructed technique places on her motions, she wore a netted shawl that covered her upper arms and torso, her forearms emerging below the shawl from stable elbows. The visible threads of her shawl also reminded us of the links, the common thread, between all of the pieces in the program as illustrated in the notes. In the opening piece, Widmung (Dedication), Robert Schumann employed a theme of Schubert in homage to his love for Clara. 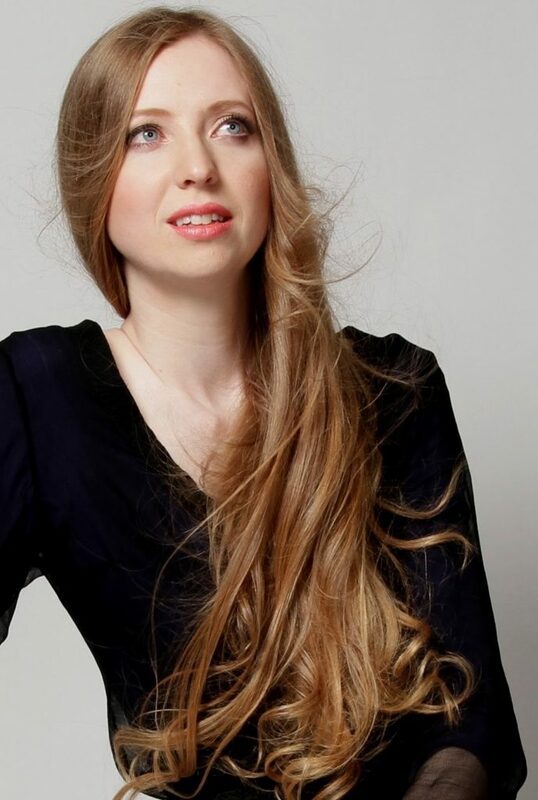 Then, the sonata by Schubert, whose works Robert had admired greatly, was followed by the Grieg piece, which the composer wrote for his own graduation recital after seeing Clara play a recital of Robert’s works. Then, Ms. Kobb delighted the audience with two movements by Clara Schumann and the Robert Schumann sonata. There is no way to know in advance what feelings a performance may inspire in the listener, myself included. But with the benefits of the additional awareness from the program notes, and from my prior conversation with her, I thoroughly enjoyed Keys to Romance. Ms. Kobb’s upright posture may have seemed prim to some. For me it seemed refined, even majestic. There was no artful hand waving or crouching. There were very expressive motions and revealing facial expressions completely in sync with the very beautiful sound. Enhanced by a physical expression with no deficiency, what I heard was not a sound fit for the small space in which a performer of the early Romantic era would have performed on a keyboard of the time. Christina Kobb’s passion, expressed in the reconstructed technique adapted for this occasion, filled the modern Weill Hall with all of the finesse written into the scores, as well as the full power of the emotions that the composers felt for each other, preserved and made audible for us, their enduring admirers. Christina Kobb’s recital was presented by DCINY Artist Series.